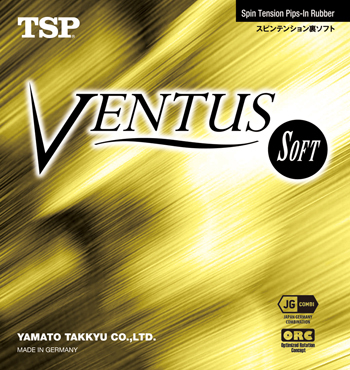 Ventus Soft is an ultra-soft, high-precision and fun-to-play offensive rubber offering excellent control. When designing Ventus Soft, the TSP rubber experts relied on the “Optimized Rotation Concept” and developed one of the softest and most controllable sponges in the offensive segment. Thanks to the super-elastic, open-pore 35° sponge of Ventus Soft, the ball virtually digs into the rubber for extraordinary spin variations. Plus, Ventus Soft features excellent sound and great catapult effect .